A $1.5 bln-plus IPO would amend for previous failed sales and listings. The private equity-backed “facility services” firm is a tidier story today. Luckily it’s also springtime in the markets. The Danish group’s sheer scale is a management challenge, and it still has big debts. 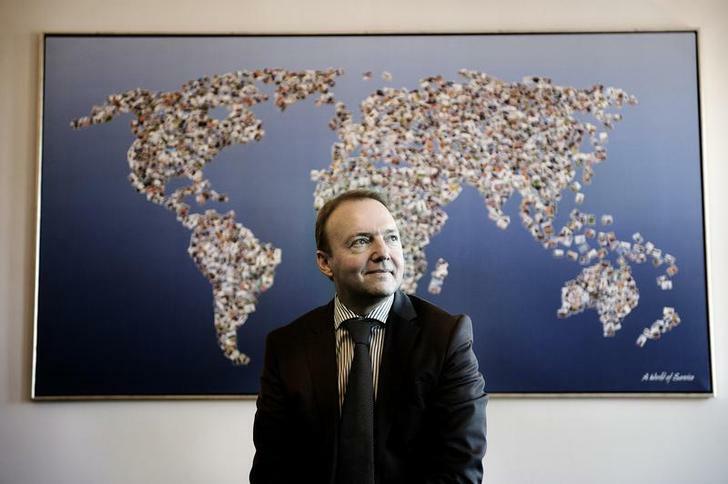 CEO of Danish outsourcing firm ISS Jeff Gravenhorst poses at the ISS offices in Copenhagen. ISS, the Danish cleaning and catering group, plans to raise more than $1.5 billion by floating on the Copenhagen stock market. In a statement on Feb. 18, the “facility services” specialist said it would cut debts by selling new shares worth about 8 billion Danish crowns ($1.47 billion). EQT, the Swedish private equity firm, and buyout funds managed by Goldman Sachs will also sell some existing shares. EQT and Goldman, who have invested in ISS since 2005, have tried several times to sell or float the business. ISS tried to list in 2007, explored a sale to Apax Partners in 2010, and tried to float again the following year, only for the share sale to be derailed by Japan’s nuclear disaster. Later in 2011, the owners agreed to sell the company to Britain’s G4S, but shareholder opposition undermined the deal. In 2012, it sold a combined 26 percent stake to Kirkbi, a vehicle that invests for the billionaire family behind Lego, and to the Ontario Teachers’ Pension Plan, for about 500 million euros.